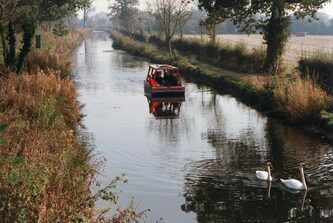 The building of the Wilts and Berks Canal was on a minor scale, no great aqueducts, no pumping stations or stupendous flights of locks as at Devizes on the Kennet & Avon Canal. The major engineering work was the two arched brick Stanley aqueduct over the river Marden near the junction with the Calne branch, the partial collapse of which in 1901 put paid to through traffic. 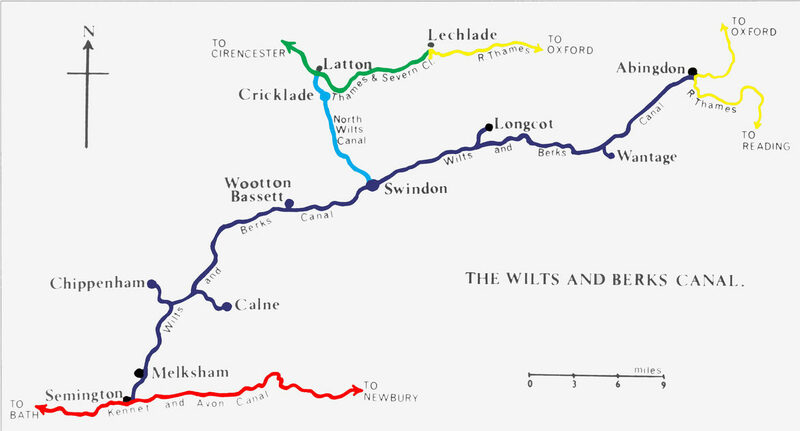 The locks, 42 on the main line, 3 on the Calne branch and 12 on the North Wilts, could accommodate boats 72ft long 7ft wide, and carrying 25-30 tons. There are no records of other than horse or donkey drawn trading boats.